Lead generation is a critical piece of the puzzle for real estate investors who depend upon transactions. Without leads, you can’t do deals. Without deals, you don’t get paid. Right now, the competition for leads is heating up in a major way. In most big cities, inventory is getting extremely tight. Big investment companies are spending huge dollars to generate seller leads. So if you’re a little company, how can you compete? Don’t worry, we’ve got you covered! 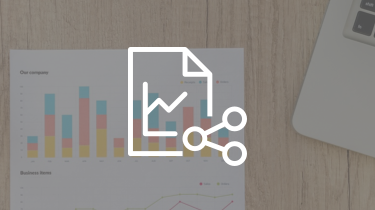 Just keep reading and we’ll tell you more about how to capture huge value from PPC lead generation… without spending any time on it. #1 – Google isn’t the only game in town. Sure, the search giant has become the world’s largest recipient of advertising dollars, and roughly 2/3 of searches happen on Google. We’ve seen their PPC rates growing really fast as investors are buying up the bid rates on their network… but for the most part, investors are ignoring the 1/3 of the traffic that happens across the other networks. Often we find that the cost per click is way lower on non-Google networks such as Facebook and Bing. In some locations the cost savings per lead is HUGE. #2 – Beware your bidding tool. Investors who are bidding thru AdWords (and other tools like it) are often just throwing money away in unexpected places. Let’s be realistic here. Did Google get to be the world’s largest advertiser by designing a tool that helps you save money or one that makes them money? I’m not accusing them of any kind of fraud, just pointing out that when you use the bidding tool that’s designed by the advertiser, you should expect to pay more. Good PPC management will pay for itself many times over. You need to identify high-value, low-cost advertising networks that show great promise for lead generation far before your competition, PLUS – it allows you to quickly hone in on unique sources of local leads. If you choose your bidding tool well, you’ll be able to get a higher Value per Conversion. That’s a metric that most investors don’t consider – but they should. A good bidding tool is an important piece of the PPC puzzle. #3 – Even the best software doesn’t make good decisions. Too many investors make a huge mistake with their PPC lead generation strategy: They set it and forget it. I’m sure Google loves this… they must make a huge amount off of campaigns that aren’t continually adjusted. 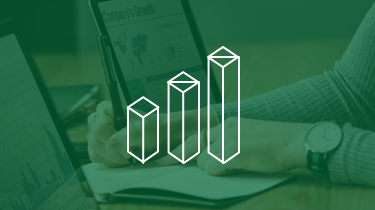 We constantly find new ways to improve our results for our PPC Service – constant improvement is one of our core values as a company, so we don’t ever take a passive approach to anything… including PPC. 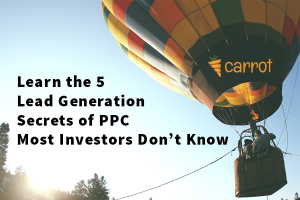 PPC is one of those areas of life where a little healthy skepticism is a good thing. I’ve been in marketing and real estate for going on two decades, and if there’s one thing I’ve learned – it’s that you can’t always trust what people tell you when there’s money involved. If you blindly trust that Google’s software is helping you optimize your ad costs, then you’re probably wasting a lot of money on other forms of marketing too – you should hop on our Weekly Coaching Calls and let us help you get a higher ROI by assessing your traffic, leads and position within your market first – before you throw more money at another campaign that’s not connected with a solid real estate investment marketing plan. On PPC, you’ll definitely get the best results by taking a proactive approach to managing your campaigns. That can be time-consuming and confusing, especially when you’ve got a million other aspects of your business demanding your attention. #4 – Quality ads convey your competitive advantage. 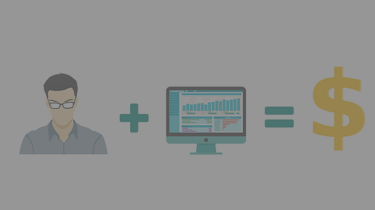 What if you could change your ad and double its conversion rate? You’d get twice as many leads from the same ad – just by improving the quality. So what’s gonna improve the quality of your ads? First, make sure that your ad is specific so you’re not getting the wrong kind of traffic. “Get a Cash Offer Now” is compelling, but do you want people who need to sell a car clicking on your ad (and costing you money)? Second, try to differentiate yourself. Everyone seems to be saying “we buy houses” – can you deliver a cash offer in minutes? Are you local and family owned? Are you an Expert Community Resource? Figuring out how to set yourself apart from your competition is one of the most important things that any business owner can do – and it heavily relates to your content marketing strategy. For example, here at Carrot, we know that none of our competitors are focused on data-driven lead generation for real estate investors. Lots of other companies are great at selling marketing products to small businesses owners, and they’ve just relabelled existing website templates and changed some titles to make them “built for real estate investors”. Our sole focus as a company is on the real estate investment niche, and that’s a huge competitive advantage for us. What’s your competitive advantage, and how can you use it to improve the quality of your ads? Write high-quality ads that incorporate your competitive advantages – and if you need help developing your competitive advantage, you should hop on our Weekly Coaching Calls to hone your brand’s identity as a part of your business’s marketing. #5 – PPC results depend upon conversion. Here’s where InvestorCarrot members are really lucky. We know that our sites convert really high, so if you’re driving traffic from PPC to one of your Carrot sites, chances are great that you’re already getting better than normal conversion rates from your campaign. 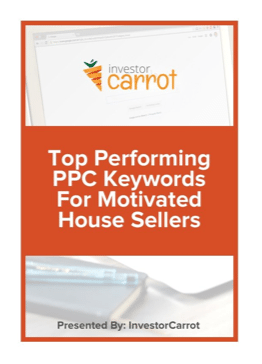 Too often real estate investors will dump a lot of money into a PPC campaign without getting results, and they don’t know why. They’ll even tell other investors that PPC is a waste of money, instead of figuring out how to improve. PPC is just a targeted source of traffic – in order to become a lead, you have to send that traffic to a page that converts well. There’s a lot of people out there who say that you can’t send a PPC campaign to a home page, that it’s gotta go to a lead page… and that’s not necessarily true. We’ve gotten great results for clients with both, depending on the type of lead. What’s critical is that the ad matches the offer. For example, lots of high-traffic foreclosure keywords are informational (they’re not looking to get a cash offer), so it makes sense to connect a foreclosure keyword to an offer of a Free Report. There are great reports and landing page included in our sites, and you can add unlimited variations to your sites… so get creative! PPC certainly isn’t the only form of lead generation that’s out there, and it’s not the cheapest, either. Costs right now are hovering somewhere around $150-200 per quality lead in most competitive markets, and cheaper in those that are off the beaten path. You can usually get leads for free from Craigslist if you know how to work it right.